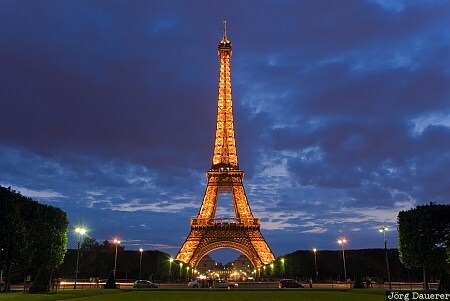 The illuminated Eiffel Tower (Tour Eiffel) at the blue hour seen from Champs de Mars in Paris, Ile De France, France. This photo was taken in the evening of a sunny day in June of 2008. This photo was taken with a digital camera.